Unboxing/Review: Mezco For The Love Of Toys – Mystery Box – AiPT! We unbox Mezco’s Valentines Day mystery box. Last year we tried our luck with the St. Patrick’s day mystery box from Mezco Toyz and was pleasantly surprised. It wasn’t what we were hoping for, but it was still exciting to see what they stuffed into the box. This year the first mystery box giveaway corresponds with Valentines. Titled the “For the Love of Toys” mystery box Mezco promises $80 to $140 worth of stuff for the price of $60. Check out the unboxing below to see what it is they surprised us with this time. As you can see we were not expecting this. 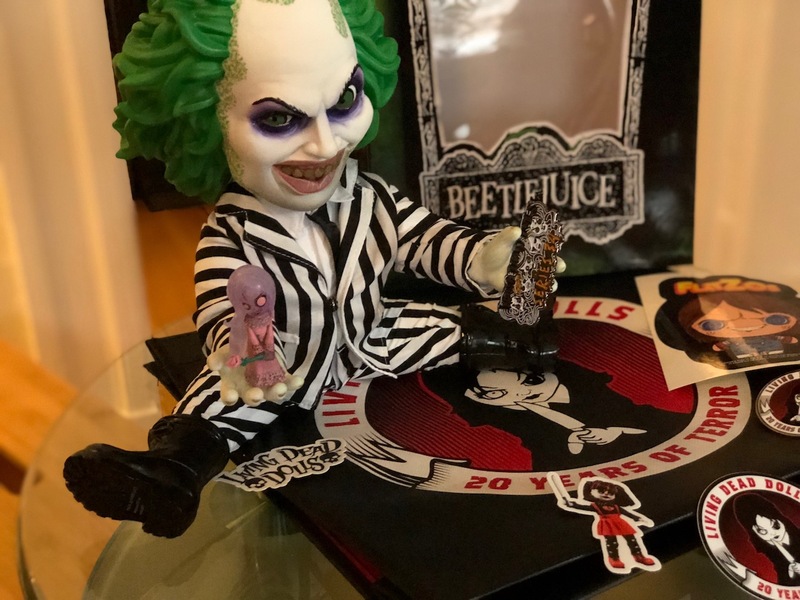 Considering this giant 15 inch tall Beetlejuice retails for $90 we definitely got our monies worth. The various stickers and pins were a nice touch and the mini Living Dead Doll is very cool. After unboxing this we definitely thought it was a fun experience and worth the price. Check out a full gallery below of the stuff we unboxed. Part of the price of these sorts of things is the surprise and we were surprised indeed. We can't say it's stuff we'd have sought out to buy, but it's still a lot of fun.